Emotionally Focused Family Therapy (EFFT) is an attachment-based approach that combines both systemic and experiential interventions to mend broken bonds and heal fractured families. 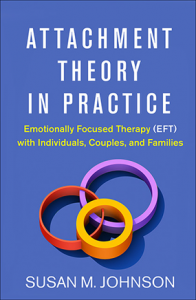 EFFT therapists focus on the emotional experience within a family and the problem patterns that block family members from accessing the resources they would otherwise share. A primary goal of EFFT is to reduce problematic behavior by creating new patterns of emotional accessibility and responsiveness that offer a secure base for children to develop and families to thrive. 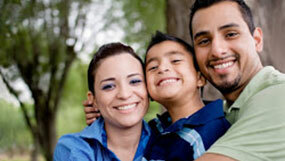 EFFT provides a practical approach to engaging families at an emotional level. Accessing, processing, and connecting family members through the power of emotional experience promotes healing and fosters a family’s resilience to the everyday and unexpected challenges of life. This workshop will demonstrate how the EFT model of working with couples is extended and modified to fit the family context. Attention will be given to how EFT practice with families is different and what additional skills are needed. For example, how to process parental blocks to emotional accessibility and responsiveness while also keeping the child safe will be a dynamic addressed. Participants will learn a powerful transformative approach that is foundational in helping parents and children who are struggling with remaining securely attached. Friday 3:00 to 8:00 p.m. Bring lunch for a working supper on Friday; Saturday 9:00 am to 5:00 pm Refreshments provided am & pm; Sat lunch on your own. This workshop will combine didactic instruction, experiential exercises, and case examples to demonstrate the practice of EFFT and a live session if available. Participants are encouraged to bring examples from their casework to explore the application of EFFT to their own work. Gain strategies for strengthening parental ownership of the EFFT process. Examine a 5-step sequence for accessing and working with emotion in family relationships. Analyze parent-child interactions using EFT practices to work through specific relational blocks. Identify differences in applying EFFT to treatment of stepfamily relationships.